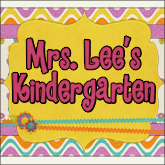 Mrs. Lee's Kindergarten: Long Time, No Blog Post! Hello Friends! Y'all are the sweetest group of blog followers ever! I've had so many e-mails from y'all checkin' on me...so here's the news; I'm expecting baby #3!!!! And, boy, have I been sick! So sick! Yuck! 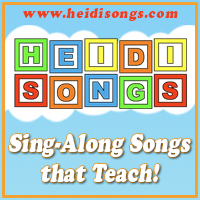 I'm so sorry that I haven't been able to post at all OR work on my newest units for tpt! I promise when I'm feelin' better I will get all of the units you guys are asking for on there. It may take me a while so I really hope you will check back at some point! I've got some fun ideas and units that I'm dying to get my hands workin' on, but missy or mister just won't allow it at this time! Hopefully soon though! I would love to hear from you below! Oh, and too, my camera died...yes...DIED! Yikes. What's a girl to do? CONGRATULATIONS!!!!! I am so excited for you!!! So glad to hear from you! hope you are feeling better soon! Blogging world isn't the same without you! I just bought a new camera at Costco, mine died too, Fugifilm finepix 14 megapixels, 30X. it wasn't too expensive and it is easy to use. I will keep checking for units when you feel better. Congratulations! Hope you feel better soon. Thanks for all the great posts you put up for your students and for fellow K teachers. Congratulations Julie! That's wonderful news (about the baby not you being sick - lol). Can't wait for your units! I LOVE your creations! What an awesome reason for not blog posting! Congrats! Awesome news Julie! I hope you are feeling better soon. Take care of yourself and your new little one. Your followers will patiently wait for your amazing units! Enjoy this special time! Congrats! Take all the time you need. We will be here and can't wait to meet the little miss or mister. Congrats!! I was just thinking of emailing you last night to say...are you ok. I am so happy for you and can't wait for your new little one. Hope you feel better soon!!! Congratulations!!! Take care of yourself and get plenty of rest! congratulations!!!! So exciting...hope you feel better really soon! Take care of yourself and that precious new little one! Can't wait to see what you come up with next! Congratulations to you and your family!! Sooo exciting!! Hope you feel better soon!! Congratulations on baby #3. I hope you feel better soon. Just in case you haven't had enough good news lately, I am awarding you and your blog the One Lovely Blog Award. Enjoy! I love your blog. Your units are fantastic. You inspire me and make me a better teacher. I wanted to award you with the Lovely Blog award. That is such exciting news! I can sympathize with the morning sickness. I had it bad with my first one and you really couldn't call it "morning" sickness because I was sick all day. Hopefully, you will begin feeling better in a few weeks!! Congratulations! That is so wonderful. Glad to hear you are doing well. Aside from the normal frustrating morning sickness!! Hope you are feeling better soon! I've missed you so!!! I'm so happy to hear you are expecting!!! CONGRATULATIONS!!!! So excited for you - babies are such a blessing! (I sympathize with you on the sick...sick...sick part. I was sick from the day I found out until the day I delivered with my 2nd child...and it wasn't just morning either.) Wishing you the best. Congratulations!!! Sooo happy for you and your family!! Hoping you feel better soon - I have a new grandaughter - she is 7 weeks old and her name is Mila (pronounced Meela!) She makes me sooo happy - LOVE her!!!! I've missed you!! Blessings!! Congratulations--and blessings to all. Take care of yourself. Congratulations!! I love all of you ideas and just wanted to say thank you! I am student teaching in kindergarten and you have helped me out sooo much!! thanks for all the freebies and ideas. So happy for you and your family. Will keep checking your blog and tpt for updates. Take your time. I completely understand how pregnancy can stop you in your tracks. What a big and important job your body is doing at this time! I love your blog.....you have some of the best center ideas! Congratulations! How exciting! Babies are such a wonderful blessing! I pray that you will start feeling better soon! My third pregnancy was a rough one too! But third babies are a breeze. I hope you get feeling better soon!, we just finished your community helpers unit. LOVED it! I'm hoping you'll post your farm unit soon. Sending warm thoughts your way!! How exciting...Congratulations! Sounds interesting for you isn't it...have a good time with your liltle one.